Mission, the original walking community! Walk to downtown, the Saddledome, C-Train, restaurants/coffee shops, Repsol Fitness Centre & enjoy the river pathways. Rarely does a property in this price range come available for sale in this highly sought after community. 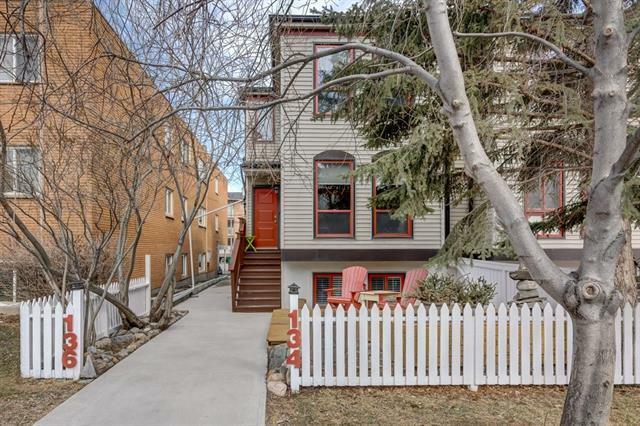 This infill has over 1700 sq.ft of updated living space. 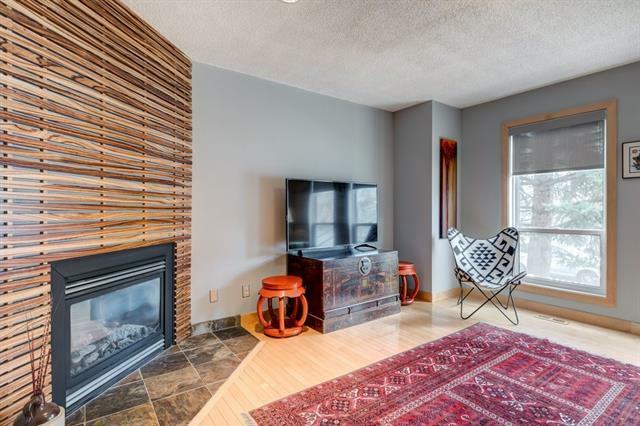 Enjoy the natural light, gas fireplace with beautiful zebra wood, hardwood throughout, lg dining room, 1/2 bath and a well laid out kitchen on the main. 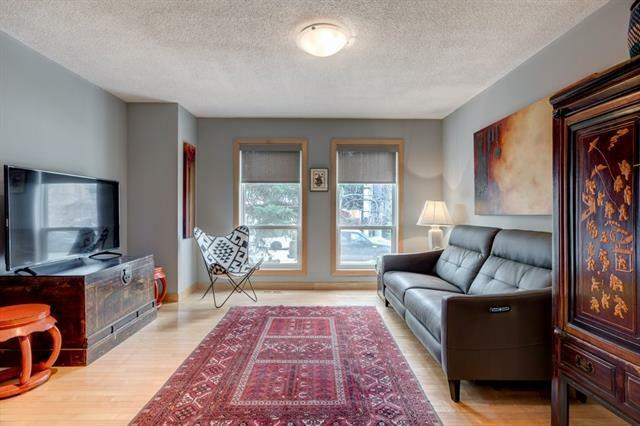 2 huge bedrooms upstairs, a custom walk-in closet & a completely renovated bathroom, skylight & newer hardwood. The fully developed basement doesnt feel like a basement with the giant windows. Enjoy it as an extra bedroom, media room or games room with newer flooring, fresh paint, plantation shutters, a totally renovated bathroom. I forgot to mention all the extra storage in the huge laundry room, the large sunny south deck out front, furnace and hot water tank above grade, pet friendly and extremely low condo fees.